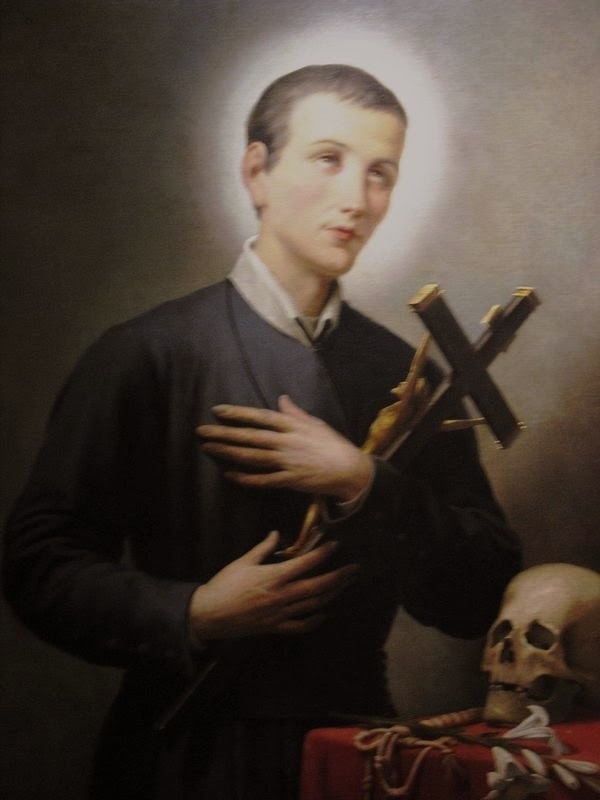 (Saint Gerard): “My beloved brethren, I come again today to invite ye to be holy like Me, for the greater glory of God and of the Immaculate Virgin and so that His Kingdom of Love descends upon all the Earth and expands itself upon all the Earth. Be holy like Me, seeking increasingly each day, to mortify your will, renouncing yeselves and seeking at every moment to fulfill God’s holy will so that His Plan of Love is realized in ye and through ye, in the souls of the whole world. If ye truly leave aside your evil desires, evil inclinations, your rebellious, corrupted will, rebellious to the Lord, and truly accept the Father’s Will, fulfilling His Plan of Love with obedience and faithfulness. Then, wonderful things will happen in ye and through ye. Because God’s Love in immense and copious torrents will flow from your heart and from your soul, from your interior for the souls of the entire world. And, truly millions and millions of them will be inundated by the grace of the Most High, through the holiness that will irradiate from your person, illuminating this world in darkness. Have in your hearts the high ideals that I had in My own Heart, because My greatest desire was to be Holy. I did not want to be nor live like the people of My time lived, in other words, contenting themselves with being mediocre Christians. I wanted to be a great Saint to give a great joy to God and the Blessed Virgin Mary. I did not not want to be Holy for My own benefit or My joy, to delight Myself personally in this. I wanted to be Holy to give God and His Mother a holy joy, the greatest consolation, the greatest contentment the greatest. Therefore, I did not measure efforts to sanctify Myself, to donate Myself, to pray, to obey everything that God would ask Me and wanted from Me, to imitate the Virtues of Immaculate Mary and correspond to all Her desires. And so, that Flame of Love that I had within Me was increasingly growing until attaining plenitude, and then, she consumed the tie that fastened Me to My mortal body and them My souls flew to Paradise. The Flame of Love that was in Me was so high and so strong that it touched Heaven and when this happened, My soul ascended to Paradise escorted by the Angels to give God and His Mother in Paradise the glory and the eternal contentment by My Holiness, by My perfect correspondence to His will and perfect Love to Them for the ages of ages. And if ye imitate this Love of Mine, ye too will have this Flame of Love with ye that will increasingly grow until achieving plenitude. And when this happens, your soul will fly escorted by the Angels up to Heaven, where ye will give God and His Immaculate Mother perfect praise and perfect joy by your holiness for all eternity. Be holy like Me, seeking at every moment to be a continuous ‘yes’ to God and to His will, praying a lot, living in a deep intimacy with Him through prayer with the heart, loving the Most Holy Virgin very much, praying to Her with the heart every day and seeking to fulfill all Her desires, because I say unto ye: It was this that lead Me to Heaven, it was this that made Me a great Saint. The secret of holiness is like Saint Paul, saying with the heart at every moment like Saint Paul: ‘Lord, what do You want Me to do?’ The secret of holiness is at every moment saying like Immaculate Mary and to Her: ‘Behold the slave of the Lord, let it be done to me according to Your word, your will.’ In this consists all the perfection, consists all the glory, the most perfect glory to God.